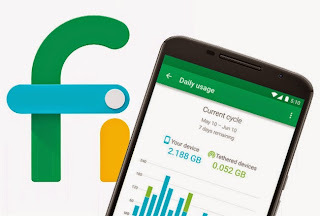 Project Fi, as many of you know, works somewhat on the bones of Google Voice and that leads to a bit of confusion. So if you are looking for how GOogle Voice features work on Project Fi, read on. Not a huge difference between the two, but enough to give some people pause as to what they want to do. You can read more about the Voice Features on Project Fi here. Any thoughts on default app messenger or hangout? Yes, I use Hangouts exclusively so I can text across devices. One feature I miss from GV now that I'm FI is the ability for me place a call from the web, where it could call any of my forwarding phones and display the GV #. I'm not following the last part of your statement. I get what you are saying, Robbie. I previously initiated calls via the GV site and sent them to one of my forwarded phones. One or two clicks online versus dialing 10 precise digits, and it was transparent to the recipient.